Seven ingredients and 20 minutes in the fridge and you've got a cheesecake! Blend Bran flakes in a blender, then mix with almond butter, cinnamon, stevia, and water. Press into a crust in your bowl. 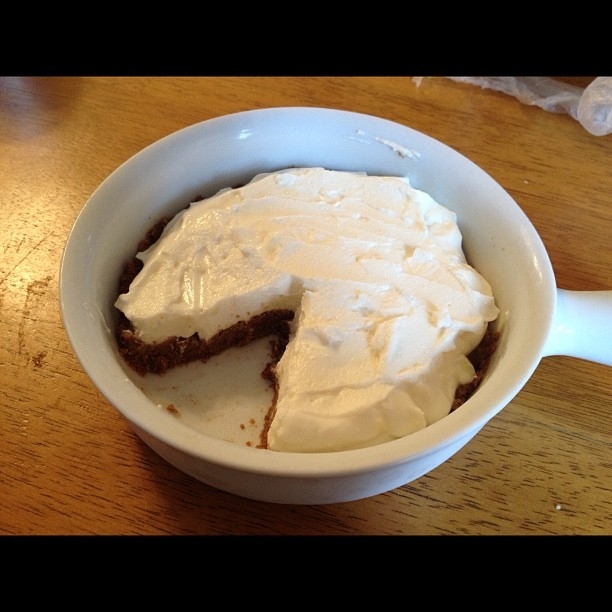 Topping is cheesecake pudding mix and greek yogurt mixed together, put onto crust and refrigerate for 20 minutes.